The Motorola PHOTON 4G for Sprint is an Android smartphone with a large 4.3 inch HD touch display, 8 megapixel camera and HD video capture. The Motorola PHOTON is a 4G capable phone that can also function as a hotspot, offering the same blazing fast connectivity to up to 8 Wi-Fi capable devices. The Motorola PHOTON will work in dozens of countries around the world. This is a review of the Motorola Photon 4G in Spanish, done by Wirefly's Onasis Castro. Wirefly is posting this as a test to see if there is an audience for Spanish-language reviews of cell phones on YouTube. We'd appreciate your comments! Esta es una revisión de la Motorola Photon 4G en español, grabado por Onasis Castro de Wirefly. Wirefly está publicando esto como una prueba para ver si hay una audiencia en español para las revisiones de los teléfonos celulares en YouTube. Agradeceríamos sus comentarios! Sprint now has three of the best phones in the industry on its 4G network: The Samsung Epic 4G Touch, the Motorola Photon 4G and the HTC EVO 3D. Cell phone fans rightly wonder how these three strong phones compare, and Wirefly wants to help. In this video, Wirefly's Bob Kovacs pits the Epic 4G Touch head-to-head with the Photon 4G, and the result is surprisingly close. What could be better than a Wirefly Schmackdown that compares two of the most powerful phones available? Here we have the HTC EVO 3D compared nose-to-nose with the Motorola Photon 4G, and there are plenty of similarities and differences to make this one interesting. Which one will win the battle to be crowned Sprint's most powerful phone? The Motorola Photon 4G is the second phone from Sprint this summer that has a speedy dual-core processor. With 16GB of internal storage space, a microSD slot and fast 4G connection speeds, the Photon 4G will help keep Sprint at the forefront of the 4G network battle. I have to give Sprint credit where credit is due; they've been picking up some awesome Android handsets as of late. They're the first to the Galaxy S II party with the Samsung Epic 4G Touch. Sprint's rocking it with the Android handsets as of late - two of which are the Samsung Galaxy S II Epic 4G Touch and the Motorola PHOTON 4G. For more on the DROID BIONIC, visit http://pdog.ws/BionicThoughts Visit http://www.PhoneDog.com for all the latest cell phone news, reviews, and more. Aaron pits two high-end Motorola Android devices against each other in a dogfight battle! Android showdown! Aaron pits the Motorola PHOTON 4G and Samsung Infuse 4G against each other in an epic dogfight video. It's time for another dogfight battle! 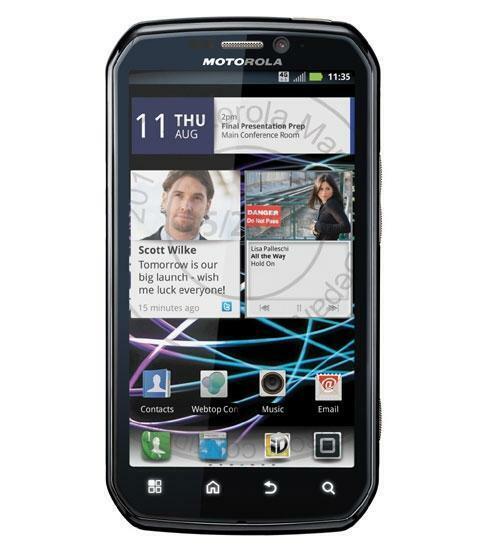 Aaron throws Sprint's Motorola PHOTON 4G and AT&T's Samsung Infuse 4G into the ring.